People like George Soros know how to plan ahead to manufacture mob violence masquerading as social movements. It worked like a charm in Ferguson, Missouri, and laying the groundwork for energizing the critical black turnout in 2016, courtesy of #BlackLivesMatter and others. #BLM is also serving as a useful vehicle for suppressing the the Donald Trump for President phenomenon. And guess what group is helping Soros, the Democratic Party and their support groups? “None other than the mainstream news media including Fox News Channel. There’s always a good guy and a bad guy in their simpleton coverage and so the good guys are Black Lives Matter and the bad guys are Trump supporters,” said political strategist Michael Baker. “While no one died as a result of Trump appearances and speeches, the news media openly launched an attack on him in order to portray him as a “Nazi,” a “fascist,” a “bully” and other pejoratives. Meanwhile, Hillary Clinton — who’s being investigated for a number of “actions” she took including abandoning Americans in Libya who ended up dead — is being portrayed as the voice of reason,” Baker also pointed out. Recently during an appearance on Univision, the Hispanic television network, presidential hopeful Hillary Clinton said, “I believe there are all kinds of underground movements and efforts in our country that try to use violence or assert beliefs that I find often lead to violence.” Clinton said that before outright accusing some police officers of being terrorists. “I think that when you have police violence that terrorized communities, that doesn’t show the respect that you’re supposed to have from respecting people in your authority, that can feel, also, terrorizing,” she said. 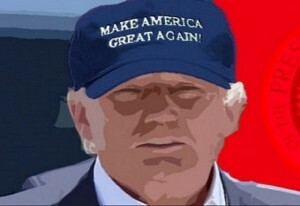 “It doesn’t take a Sherlock Holmes to discover that thugs from Democratic Party-supporting unions, Black Lives Matter, Occupy Wall Street, Code Pink and other progressive and socialist organizations have planned to turn public opinion against the GOP’s bad boy of politics, Donald Trump,” said former police detective and military intelligence operative Sid Franes, who is African American. “He may be the Republicans’ bad boy, but at least he’s not the Democrats’ pathological liar or crime lord,” he added. You would think Trump allowed Americans to be abandoned in Libya. While the Black Lives Matter movement (BLM) casts itself as a spontaneous uprising born of inner city frustration, it is just the latest — perhaps more dangerous — well-funded communist/socialist organization to come down the pike. These radical groups have been agitating against America for decades and with few exceptions have been linked to the Democratic Party. One of these groups’ biggest financiers is none other than multi-billionaire George Soros. Not long ago, the Occupy Wall Street movement was on the march especially in New York City. Their actions — including violent episodes — weren’t blamed on Trump, but on a terrible economy. However, many of the same people involved then are involved now and their anger and actions are blamed on Donald Trump. These groups have provoked police killings and other violence, lawlessness and unrest in minority communities throughout the U.S. BLM appears to be exercising considerable leverage over the Democratic Party, in part by pressuring and intimidating Democratic candidates such as Hillary Clinton and Bernie Sanders (VT) into embracing their cause. The movement could also assist President Obama’s exploitation of racial divisions in society beyond his final term in office. 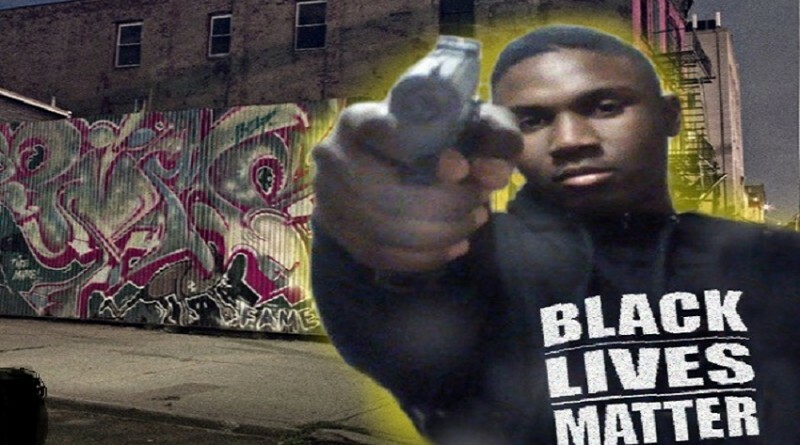 BLM launched in 2013 with a Twitter hashtag, #BlackLivesMatter, after neighborhood watchman George Zimmerman was acquitted in the Trayvon Martin killing. Radical Left activists Alicia Garza, Patrisse Cullors and Opal Tometi claim credit for the slogan and hashtag. Following the Michael Brown shooting in August 2014, Dream Defenders, an organization led by Working Families Party(ACORN) activist and Occupy Wall Street anarchist Nelini Stamp, popularized the phrase “Hands Up–Don’t Shoot!” which has since become BLM’s widely recognized slogan. Protesters, of course, have the right to dissent, said Judge Jeanine. “But you cannot defend assault by arguing verbal provocation,” she warned. Jim, regarding the election, this matters, how? Theatrics, diatribe, some new GOP/Dem strategom? I, too, had hoped Trump might be different. But, how about that Haas relationship? I used the analogy “it’s like being a little bit pregnant” previously when talking about being in bed with CFR, TC, etc…, but that involves life. Better to call it the darkness it is, cancer. And it is malignant. Trump was put out as a marketing road test, much like the Reserve allowed Bitcoin, and now has its own deal. He’s an actor, sad as it may be. Just another Godless Globalist. Thank you. Bill. Bill, thanks for your thought provoking comments. I appreciate your response and thank you for your civility. These days, there is too much vitriol on the Internet and it gets us no where. Thanks Jim for an excellent article!